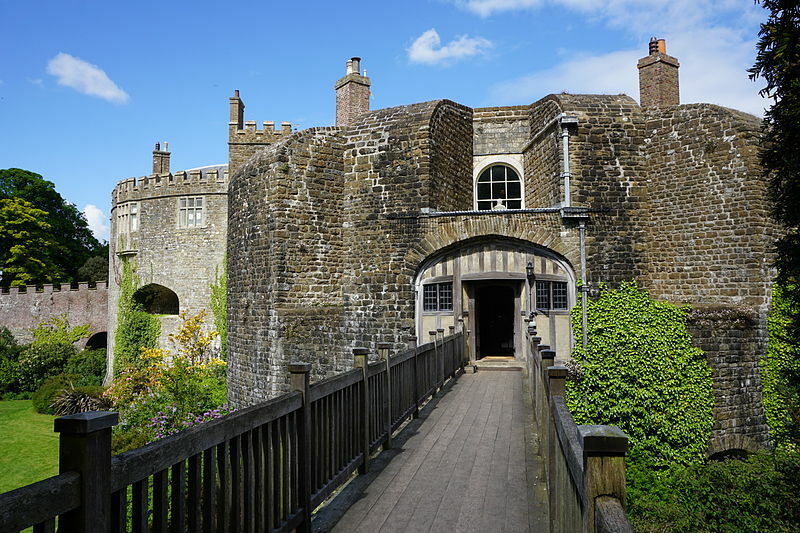 Photo of Walmer Castle by Nessy-Pic, sourced on Wikimedia Commons. Blurb: Seventeen stories, thirteen authors, a second war. Once again Manifold Press’s writers explore the lives of LGBTQ+ people and their war-time experience in cities, towns and countryside across the world. Amidst war and peace, in the thick of violence or in an unexpected lull, these stories of the Second World War take the reader far and wide: through Britain, Europe, Asia and South America, from loss and parting to love and homecoming. As for home, it may be an ordinary house, or a prison camp, or a ship: but it is, in the end, where you find it, however far you have to go. Read this book, and make the journey yourself. An anthology edited by Heloise Mezen and featuring authors Julie Bozza, Barry Brennessel, Charlie Cochrane, Andrea Demetrius, Adam Fitzroy, Elin Gregory, Sandra Lindsey, JL Merrow, Eleanor Musgrove, R.A. Padmos, Michelle Peart, Megan Reddaway, and Jay Lewis Taylor. Click here for the blurbs. All proceeds will be donated to the British Refugee Council (Registered Charity No. 1014576). Published on 1 November 2017. Berlin, July 1939. In the hot weather Patrick Lawson, music student and English tutor, has managed to ignore signs that all may not be well for at least one of his friends. It takes a piano in the wrong house, and then a missed train, to push him nearer to the truth than he might like. In the early days of the Second World War, every man and woman is expected to serve their country, but sometimes the most unexpected people are called upon to fulfil extraordinary duties. Henry is used to people staring at her, with her men’s clothes and her peculiar ways. She and her girlfriend Rosie have stopped paying attention to the gossip and built a cosy home together. But when evacuation drops ten-year-old Tom into their life, Henry can only hope that he’ll accept her as she is. When MI5 wireless operator Mike Bernsey meets a stranger in the London Blitz, it feels like something special. Eddy’s unforgettable. But for Mike, there’s no love without betrayal. With their home in London destroyed in the Blitz, Leonard and Virginia Woolf find what peace they can in a village near the Sussex coast. But with German and British planes grinding overhead, and the looming threat of a Nazi invasion, there is never enough peace to be had. There is never enough. Excerpt and conclusion: “We Live Without a Future” by Julie Bozza recounts the last days of Virginia Woolf, in which she treasures and questions her relationship with her lover and husband, dispassionately thinking she needs to free them both. … Sandra Lindsey’s “Between Friends” makes a significant statement about all these relationships: “desire and lust are easy to understand and easy to answer. Love requires more care.” … An interesting, unified but fragmented, and memorably inspiring body of historical fiction. Excerpt and conclusion: “We Live Without a Future” – Julie Bozza … Not much I can say except it’s beautifully written, is based on fact, and definitely captures the tense mood of the characters and the period. … This is another strong, poignant, well researched and edited anthology from Manifold Press, this time set amidst and around WWII. It follows on the back of their equally good WWI anthology “A Pride of Poppies”. … There are some standout stories but across the board each short is strong and they span several countries, years, and letters within the rainbow alphabet. I would have loved more length with most of these stories but only because they’re so good. 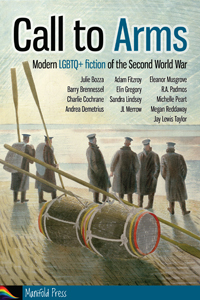 When Manifold Press decided on a new anthology – a companion piece to our Great War anthology A Pride of Poppies, but this time about the Second World War – I thought long and hard about the subject matter. The fact is, I know far less about WW2 than I do about the Great War, so I felt it all too possible that I would have nothing to contribute. One abiding interest of mine, though, is the Bloomsbury Group and in particular Leonard and Virginia Woolf. I love them both dearly, and for me they are indelibly associated with a great deal of the first half of the 20th century, including the Second World War. The relationship of each member of the Bloomsbury Group with war was quite complex and individual. There’s a great little article by Roy Johnson exploring their varied actions and reactions on the Mantex site, if you want to explore further. 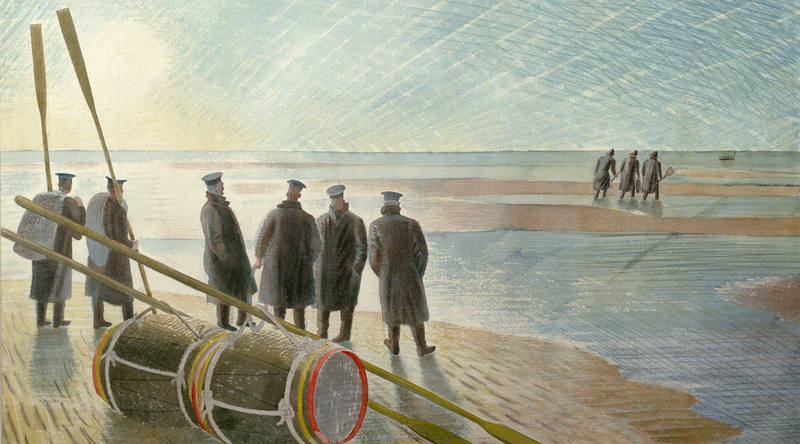 His initial focus is on the Great War, but he includes later developments. I knew that Leonard and Virginia were afraid of a Nazi invasion of Britain – a possibility that was very real at the time. We tend to dismiss such notions now, because of course we know it never did happen, but it was experienced by people at the time as a genuine fear. Blurb: Dale is proud of how his acting career is progressing. Tonight, for instance, is the last night (at the beautiful Sam Wanamaker Playhouse) of a well-received run of Beaumont’s The Knight of the Burning Pestle, in which he plays Rafe. But his colleague Topher, who plays Jasper, seems to think something is missing in Dale’s life. They’re not really friends, and Dale sees little point in reprising the one night on which they were not-really-friends with benefits. However! Despite the distractions of performing this chaotic two-plays-within-a-play, Dale is plagued by the niggling doubts prompted by Topher. 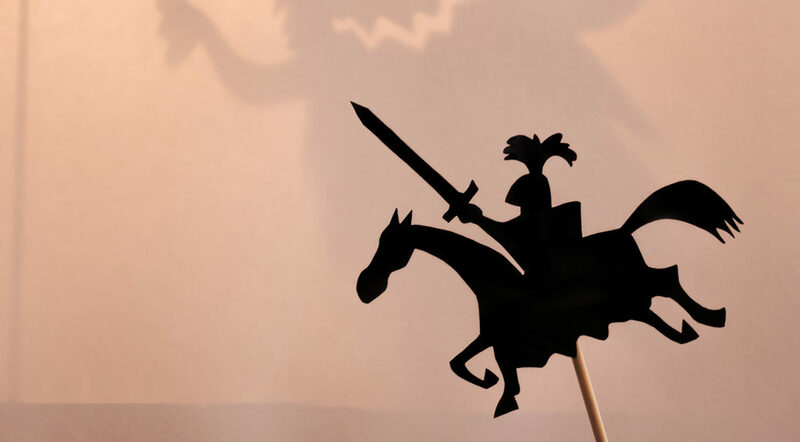 Dale might be better off paying attention, though – because maybe Francis Beaumont, writing over 400 years ago, already provided the answers to Dale’s dilemma. Click here for an excerpt of text. Published on 1 May 2017. Anna Mladen said: I don’t know what exactly I’ve been expecting from this book, but by 12% on that kindle scale I was suddenly awake and breathless to see how all of this will play out: it was like certain discourse from certain Tumblr/Twitter feeds where ‘righteous’ citizen are up in arms to lay down the law of the land. Er. Fandom world, but not only. The good Citizen in the book/play is up by the stage by this point, demanding that she’ll have representation in the play, or else. Who can deny the RL echoes of this one with the number of ‘shoutout’ we are subjected to these days….Just like 400 years ago, it seems. Eh. Wonder what that means? There’s little I love more than seeing history intertwined with contemporary events all over again. It brings out perspective, my ears start to sting from lessons we should have known already, and the ‘original’ and monumental game-changing concerns of these days are starting to lose something of their shiny and pressing edge. Issues become once again man-made problems, and thus seem easier to overcome. One can breathe better, hope beating again in the chest. A.D. gave it 5 stars and said: I had a wonderful time reading this book! This has been a breathless read for me. I went through it wide-eyed, having an amazing time discovering the real-life, actual life, echoes of a 400-years-old play. The Citizens are the main character is said somewhere in the book, and one only has to venture out on Tumblr or Twitter to come upon the present time embodiment of the play shoutout for representation. This is the opening scene of my novella, which takes place in the dressing room about thirty minutes before the play is due to begin. “Did we ever work out what this play is about?” asked Topher. “In thirty minutes,” Topher quietly replied. They were sitting in their corner of the men’s dressing room, each at his own table – at right angles and far too often at cross purposes. Dale leant in to shoot Topher a fiery look via the reflections in their mirrors. Not that Dale would let Topher rattle him, of course. The friendly repartee they shared was generally for real, and the less good-natured niggling was usually for display purposes only. Dale knew that Topher knew that for Dale the work came first, and if Topher went too far, Dale would simply shut him out. 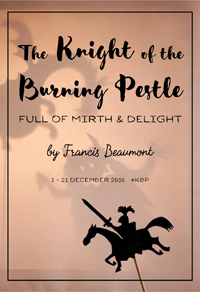 The story of A Night with the Knight of the Burning Pestle takes place one evening – 21 December 2016, to be precise – during and around a performance of Francis Beaumont’s play The Knight of the Burning Pestle. The play itself has many layers, being actually two plays within a play. I took it all one step further by wrapping another story around the original, about a romance between two of the actors during this modern-day production, and following them backstage. If that sounds confusing, it probably is! But the sheer sense of chaos, the exuberant feeling that anything might happen and probably will, is one of the joys of Beaumont’s play. As a way of helping with the potential confusion, I’ve created a mock theatre programme for the production I’m writing about. 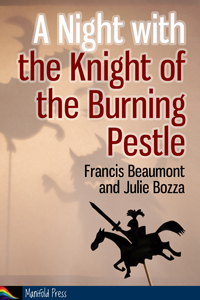 It includes short articles on Beaumont and his play, along with information about the characters, and the structure and locations of the scenes. You might care to keep it nearby while reading, just in case (like any actor on any given night) you would like a little prompt now and then. The programme is free to download, and I’ll have printed copies (also free!) with me if you come find me at various events. Here is that link again, for the 8-page PDF mock theatre programme! I had fun with finding portraits to serve as the actors’ headshots – which, in real theatre programmes, often look little like the present-day actor let alone the character they’re playing. But please do feel free to imagine the characters’ appearance in any way you wish! You will often find a Poet for Hire on the banks of the Thames near Shakespeare’s Globe. You provide a prompt, they type out a short impromptu poem, and you pay what you like for it. I love the whole idea, greatly admire their creative derring-do, and have indulged a couple of times. 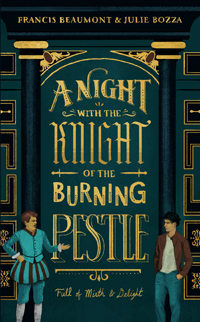 This time, my prompt to poet Edmund Davie was “The Knight of the Burning Pestle” – and while he didn’t already know the play, he produced something that is so very perfect for Rafe. practice cookery with mortar only? as are you, fair maiden. 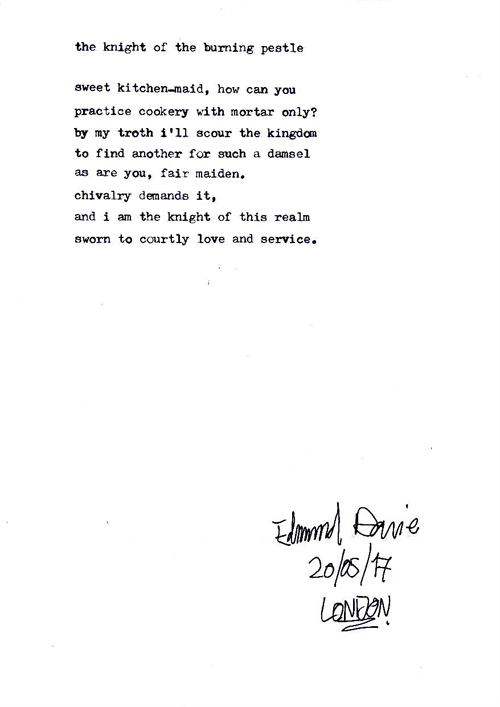 sworn to courtly love and service.